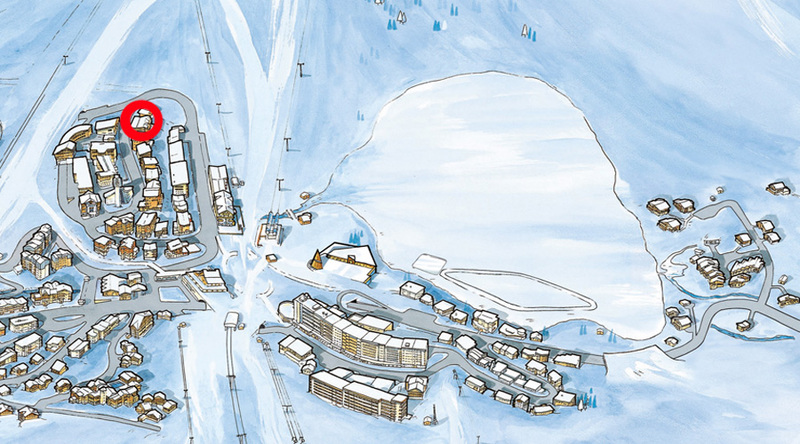 Nestled in the heart of Tignes ski resort at 2100m of altitude, the Hôtel-Restaurant LE PAQUIS offers an ideal location for a stay in the mountains. 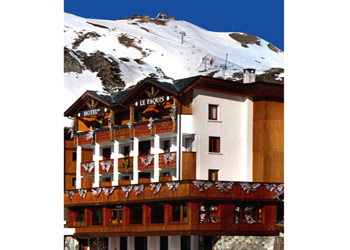 The hotel is close to shops and close to the ski lifts and slopes. Between the Grande Motte glacier and the natural lake, the scenery is just amazing. 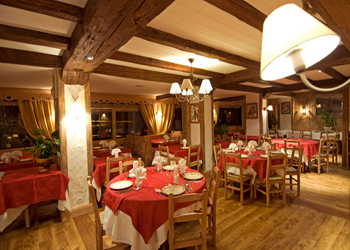 The Mazzega family receives guests in a warm and refined setting for a dinner full of flavor, and shares the pleasures of a varied and delicate regional cuisine which is accompanied by selected wines. In the evening, the chef reveals all his creativity and sophistication in a desired card. A real kitchen, precise, underlining each flavor and aroma, subtle taste for discovery. Let yourself be seduced by foie gras with berries, citrus emulsion. We're a little family in the stone and wood decor of the living room, where good humor is expressed spontaneously around the large fireplace. Come toast your exploits of the day, the lounge area is very user friendly ... !! 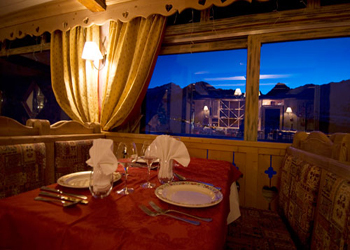 In the dining room, it is primarily the eyes who enjoy the panorama of the large window on the natural lake and the "famous" La Grande Motte glacier. The varied and carefully map makes this hotel an ideal break for lunch from noon. - The view from the dining room.